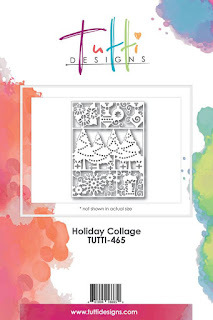 Today, I'm sharing more Christmas inspiration using one of the gorgeous, newly released dies from Tutti Designs...Holiday Collage. This collage offers 5 different elements combined in a single panel perfect for quick and easy holiday cards. 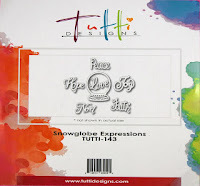 I've also used the Snowglobe Expressions words for the sentiments. Typically, I like traditional colors for Christmas cards, but decided to use something different with this Holiday Collage. I chose turquoise and pink as the base colors for these two cards. 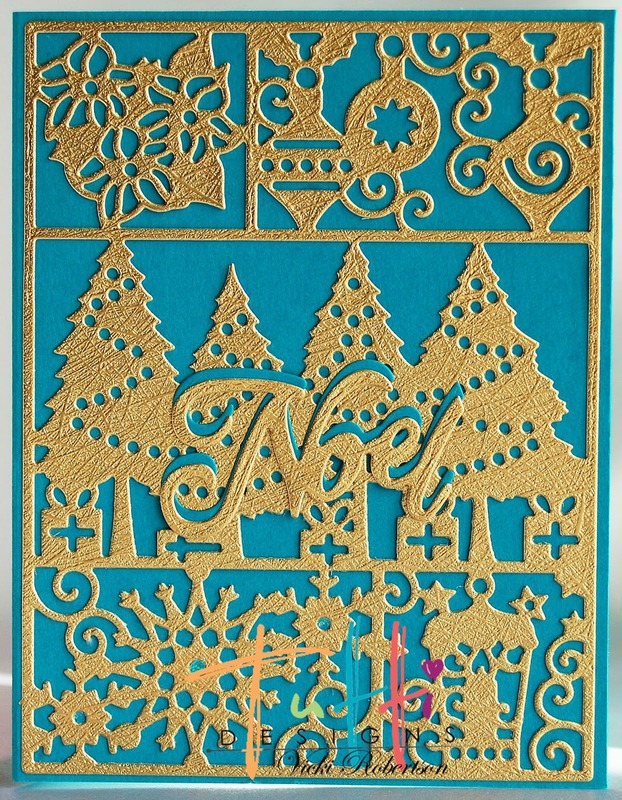 First up is this turquoise card base with the Holiday Collage cut from gold metallic paper. It really needs nothing at all in the way of embellishing. The beautiful elements of the die cut collage make this an easy holiday creation. 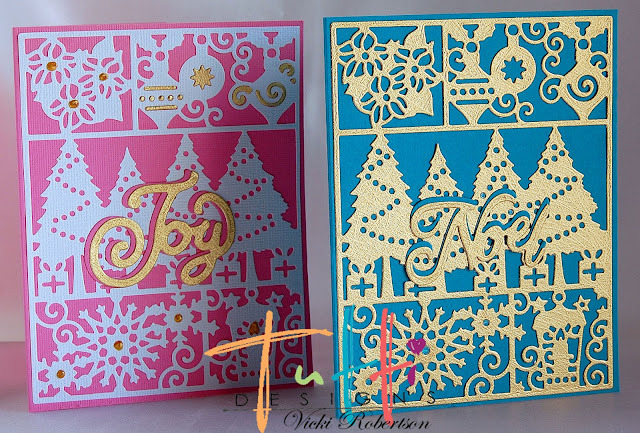 I cut the "Noel" word from the Snowglobe Expressions set in both colors using the turquoise as an offset matting for the gold. 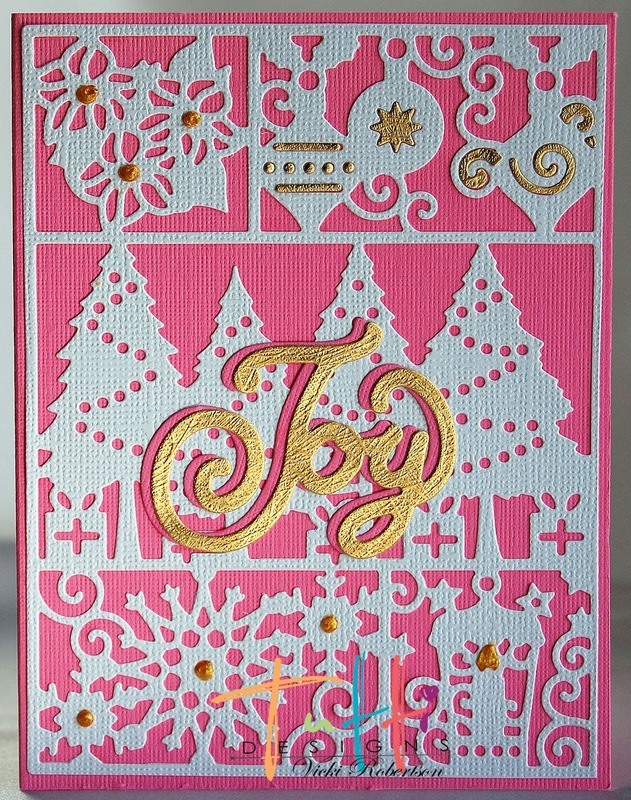 Next up is this lovely pink card base with the Holiday Collage cut from white cardstock. The white really pops against the bright pink. 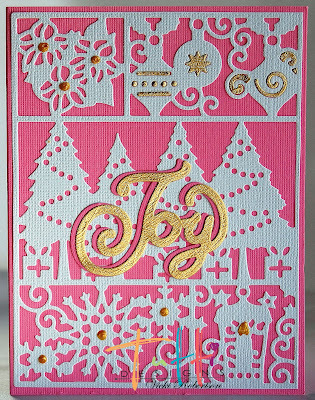 For this card, I cut the word "Joy" from the Snowglobe Expressions using gold and matting it with pink against the white. I saved a few of the negative pieces from the gold collage in the first card to embellish this one. I also added Viva Gold to the poinsettia and snowflake centers along with the flame on the candle. 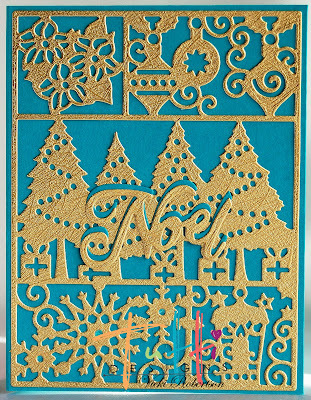 This Holiday Collage is one of 33 newly released dies for July. They are now available for purchase in the Tutti Designs store. Stop by and add them to your stash today! WOW these are fabulous Vic! Love the non traditional color choices ... awesome inspiration! How nice to have your holiday cards started ... well done! Beautiful! I really love that die and you have showcased it so well here!